I feel myself waking up but my eyelids seem to be too heavy to open. I remain still, for a while awake, eyes closed, listening for the slightest sound. There is nothing but silence. Not a sound. That is when my mind starts racing with confusion. I lie still listening for a familiar sound, but none came, I am not even sure what I am listening for exactly, my mind feels foggy, heavy and empty. I am struggling to remember, I don't seem to know anything. I open my eyes just to close them again quickly. The bright white light that greets me is blinding. Where on berry's earth am I?? Slowly my eyes accustomed themselves to the light and I could open them fully to focus on my surroundings. I sat up feeling very confused. I am in a very small room and all I could see is the small single bed which I was lay on, a bedside table and a white wooden chair. Everything is white, except for the grey metal bed frame and the metal door in one corner of the room. I swung my legs off the bed in a rush to get up, I think a little too quickly as it made me feel dizzy and I had to sit still for a moment. I tried to steadying myself and stop myself from falling or passing out, I felt very light headed and and I thought any minute now I am going to throw up. My mind was foggy and I was struggling to think, I couldn't remember a thing about myself or my life or even what I might be doing in this strange white room. My bare feet touched the white tiled floor, making me shudder from the coldness. I sat motionless staring at the cold floor, battling with my empty foggy mind, waiting for the sick feeling to pass. My head was hurting, trying to pick out something, anything that might explain all this. I struggled to even remember my name, how could I not even know my own name? Slowly I got up, unsteadily I took a few steps towards the door, wobbling like a drunk, maybe I had been drugged and that is why I was struggling to remember anything?! Looking through the glass in the door all I could see was a white corridor that was very brightly lit. Listening for a while for the slightest noise, but there was nothing, not a sound, just silence. I tried the door handle, but the door was locked. Why would I be locked in this room? I started banging on the door, shouting for someone to let me out, but nobody came. I could feel the panic building up inside me, confused, I shouted louder and banged harder. Nothing .... just silence, and nobody came when I called out. What is this place? Am I dreaming? Am I in prison? Am I dead? Did I crack up? Kidnapped? If only I could remember something that might explain why I am here, wherever here is. I started to look around the empty room for some sort of clue. That is when I spotted the book that lay on the bedside table, I had not noticed it there before. Picking up the book I ran my fingers over the white front cover, it was white and blank like everything else in this room, I could vaguely make out the faded silhouette of a woman on the blank cover that suddenly made me shudder, but I don't know why. I sat down on the chair and opened the book curious to see what was inside, it looked liked a novel. As I flicked the pages a smell filled my nostrils, an old musty smell that meant to me that that this book had been a long time unread. I imagined it sitting on a library shelf gathering dust and cobwebs, so how did the book get here and why?? There is nothing else to do in this room, only sleep and I felt far from tired. All I could do is wait for someone to come, surely it would not be long before somebody turned up. "Every day of my childhood was pretty miserable, I grew up in a loveless family and every day I was reminded that it was my fault that our family had fallen apart.............."
Hey there! We've been drifting on the edges of each other's legacies for a while, and I keep seeing your comments. You also do the Life and Times of Marty Keaton, right? This is a gripping start to a legacy. I'm going to read through as quickly as I can. If you have the time or energy, check me out at http://sims3sample.blogspot.com/. Hiya - thanks for reading - glad you liked the start!! Just popping in to say that I am going to try and read your legacy. Just finished this part and hope to move on to the rest tonight. Thanks for sharing! Feel free to check out my legacy! Thanks for reading - hope you enjoy it!! Ooh, I got the feeling she was in a psychiatric ward. LOL it's probably just because everything was white. Hiya :) That is all part of the puzzle working out where she is!! Oooh this is really good so far. Like Lateknightsimmer, I thought she was in a psychiatric ward too, I guess we'll see if we are right. 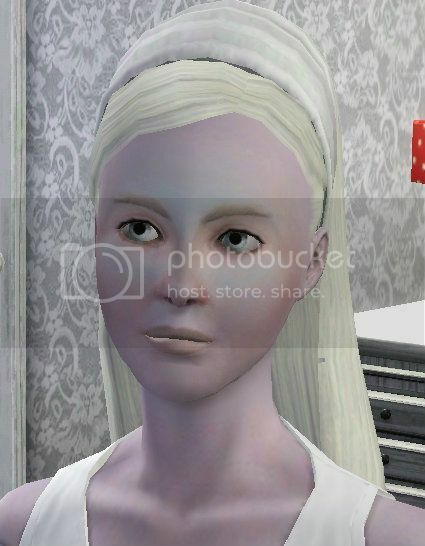 This is amandralynn from the sims 3 forums. :) I like how you make the songs fit to each chapter, cool idea! Ooo! Now that I've read the first chapter, I can't wait to read more. =D Great start! hope you enjoy it - thank you for reading!! Wow! That's a great start to your legacy! Very awesome job! thank you!! Glad that you enjoyed it!! Interesting start! This is sneaky from the frums btw. I've not read a rainbowcy before so I'm excited to see how it works! I really like the air of mystery you've set up. I wonder where she is! I had a lot of fun with the mystery of Lilly's whereabouts - it might take you a while to work it out. I hope you enjoy reading and stick with it - it does get better as it goes along as I'm told. thank you for reading - hope you get through it and enjoy it!! I've had you rainbowcy bookmarked for a while now and just had other stories I was catching up on. I like the mystery around who this girl is and where she's at. An interesting thought and I wonder if she's reading her own diary. 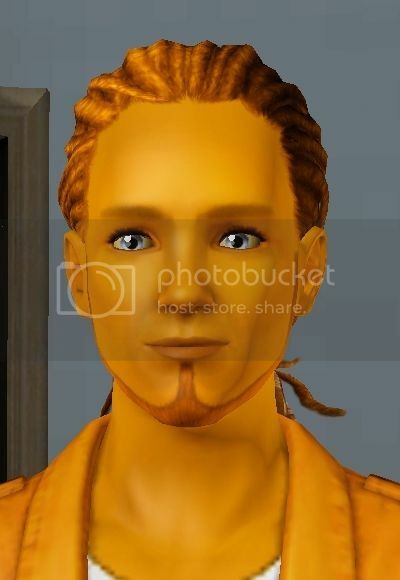 Hi, I nominated you for the Liebster #3 award; it's a fun little Sims forum thing that connects Blogspot users together in a celebration of the Sims. You can see the rules and my questions on my blog, http://onethousandbabysteps.blogspot.com/.